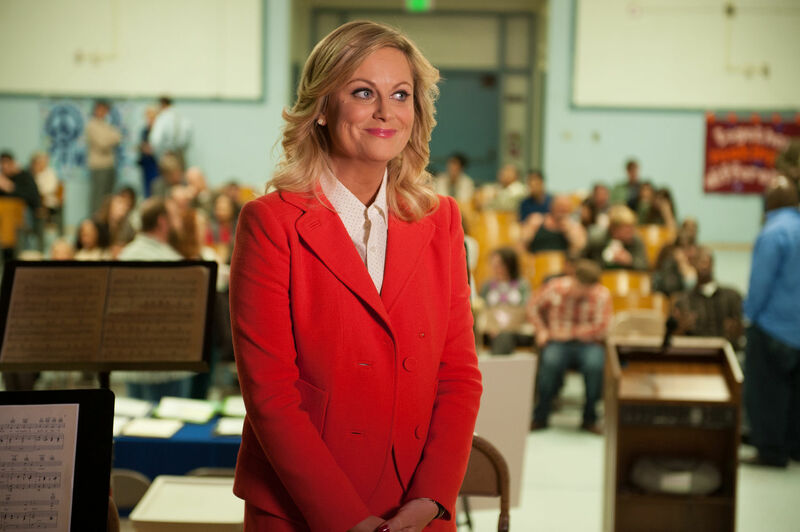 It’s possible that 31 years from now, Leslie Knope is president. Remember back to the very last episode of Parks and Recreation, entitled “One Last Ride,” HEAVILY IMPLIED that one day, our Ms. Leslie Barbara Knope grows up to be become President of the United States of America, and thus, overnight the world becomes SUCH A HAPPY AND MAGICAL PLACE. While Parks and Recreation has been over for more than a year, it’s safe to assume you think about Pawnee at least once a day, every day — and if not, that’s cool here’s your quick refresher on how it ends. The finale gave us a quick glimpse into everyone’s future, like how Jerry Larry Terry Barry Gary was going on to be Pawnee’s Mayor, Ron’s now in charge of Pawnee National Park, and Ben and Leslie have high political aspirations. Like, Oval Office aspirations. 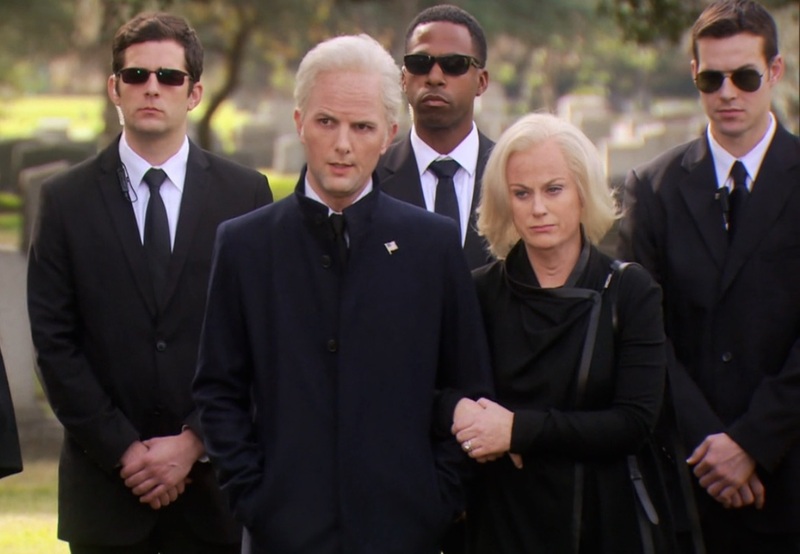 The series finale brings us to Gary’s funeral in 2048, and it’s hard to miss the fact that Leslie and Ben are dressed super formal, and also flanked by a bunch of guys in trench coats and aviators. That’s because these guys are Secret Service, and they’re hanging around because they’re protecting the president. Leslie — or Ben — is now the President of the United States. But come on. It’s Leslie. Also, 2048 is an election year, which means that Leslie has already been president for at least four years, and maybe she’s running for election again, or maybe she’s already served her two consecutive terms. These are all good things to think about, and it all boils down to the fact that in some magical alternative universe where we all wish we could live, in 31 years — if not sooner — Leslie Knope is President! Or maybe this is actually our timeline, and all hope is not lost. Things might be though now, but everything will get better soon and waffles will be declared the country’s official breakfast food of choice. And also the’ll be a Lil’ Sebastian monument in the Rose Garden. There, don’t you feel better already?